It is important that anyone in a specific industry must eat their own dog food. As a number of my close friends know, I am building a house in cosy town of Margaret River in Western Australia. It is vital, especially if I want to put IoT to practical use in my own home - that my technological decisions are good ones. As part of the building process, I was presented with a number of options for the management of climate control (heating/cooling). 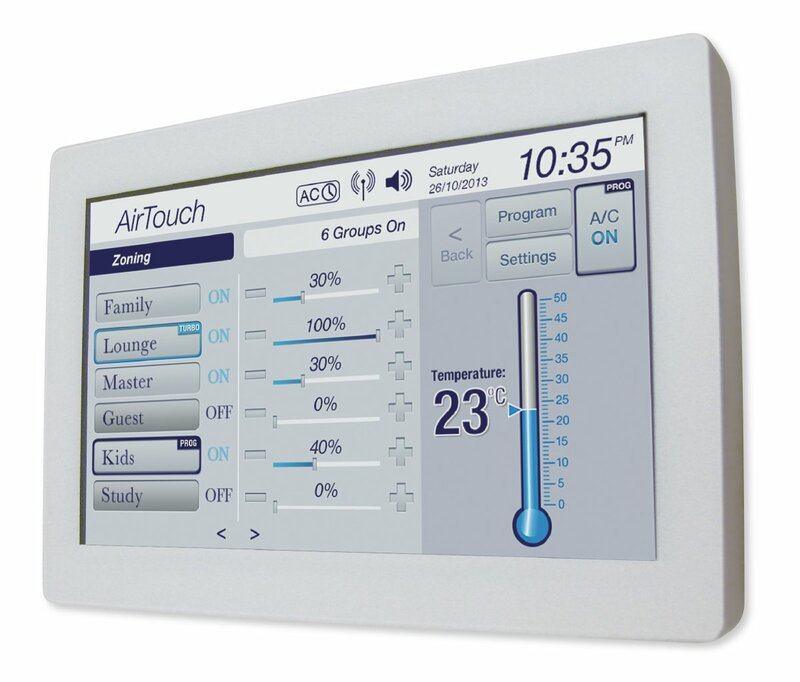 The unit I selected is the polyaire AirTouch solution that offers total control of the climate control in a home with up to 16 different zones and the ability to remotely control it form a mobile device (iOS or Android), PC with a web browser and the touch screen control panel. Building your own home from a clean slate is always an exciting opportunity - but being able to put an infrastructure in place that can allow for much more "smart home" technology to be added is simply the sweet icing that is placed on the cake that you get to eat. It should be quite simple to reverse engineer the HTTP protocols used by the various applications to integrate an automated solution that could be connected to various other sensors on the property or even external sensors that monitor my where abouts. The opportunities are endless - motion and temperature sensors could trigger setting various fan speeds (10% increments) and operating cycle periods, a GPS sensor in my car could detect when I am almost home and start warming or cooling the house. There are so many things I could do with the lighting, locks and surveillance solutions - not only to be energy efficient but also to show exactly how one target vertical of IoT can be integrated into our every day lives with simple modification to basic technology foundations. Of course, I definitely will not overlook any security aspects with such a modification.